Celebrating life and death at the Día de los Muertos event at the Grand Rapids Public Library. 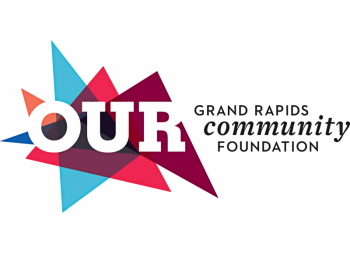 For more information on all library branches events, visit the the Grand Rapids Public Library events page. Death is a part of life, something everyone deals with in his or her own way. When I was twelve years old and my grandmother’s organs were shutting down, I made wishes every day that by some miracle they would start working again and she would make it to her 90th birthday that December. She died four days after my birthday on May 4, 2002. I was a little more prepared the following year when crossing the Mackinac Bridge after a vacation in Minnesota my family got word my grandfather was failing fast. We were in panic mode as we rushed home and up to the hospital. I held his hand and witnessed his last breath at 11:56pm the following evening, August 17, 2003. Our culture protects children from death, shielding them from the reality that we are not immortal. We rarely talk about the dead for fear of making others sad or having to explain to young children that Grandma is never coming back. It took me almost a decade to go back to my grandma’s house and even then it was strange not to see her there, smell her cooking or hear her voice. In America, we don’t celebrate death like other cultures. We have the funeral, lay the deceased to rest and move on, grieving in private. In Mexico and Central America, they do things vastly different. They celebrate death, commemorate loved ones, and teach children early on that we do not live forever. In an effort to bring awareness of the different culture, the Grand Rapids Public Library (GRPL) main branch held the second annual Día de los Muertos celebration with over twenty altars created by citizens of Grand Rapids honoring friends and family members who have passed on. A Mexican tradition, Día de los Muertos is a three-day event in which families celebrate life and honor the memory of the deceased. Typically taking place in a cemetery, families decorate gravestones with photos, letters, and other memorabilia in order to attract souls. They dance in celebration and don wooden skulls called calacas, representing death and rebirth. Special bread, pan de los muetros, is made and picnics of the deceased’s favorite food are also common. Toys are brought as gifts for the children who died too soon and bottles of tequila are offered to those adults. Within homes, shrines are made to celebrate and remember the life they lived. 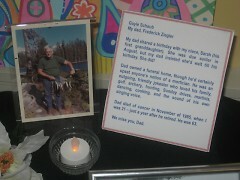 Brightly colored flowers and candles surround the memorial. The Mexican Heritage Committee at the GRPL brought the experience of Día de los Muetros to Grand Rapids, reaching out to community members in order to honor those we hold dear. One alter honored a Spanish teacher who passed on earlier this year and was created by his former Spanish students. 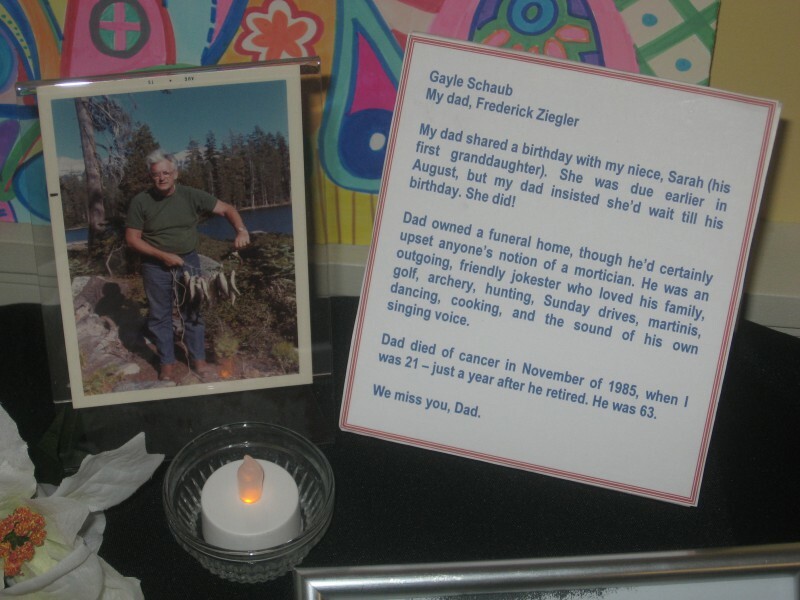 Another was assembled by Gayle Schaub, a staff member of the GRPL main branch, in honor of Frederick Ziegler, her father, and Sarah Fritsch, her niece. 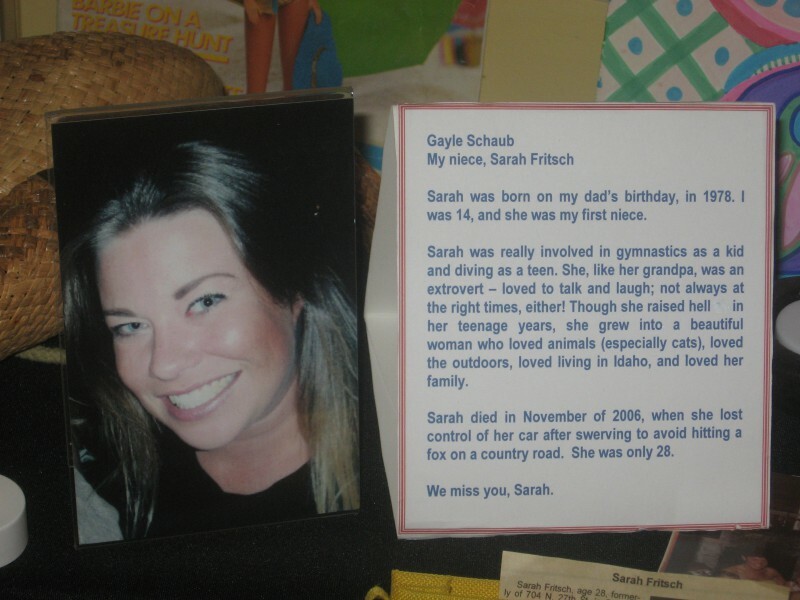 While Schaub was grateful her German family did not find it creepy, many Americans still do. Raised in a culture where Halloween is meant for scary fun, laughter and pretending, the idea of being serious about death is somewhat of a taboo. In America, it is not every day that we call upon spirits by dancing on graves, obsessing over deceased loved ones with shrines or eating special foods. We are taught to let go of those we lost and move on. Since learning Spanish is becoming more and more common in school, and at a younger age, too, teachers are embracing the Hispanic culture and teaching the younger generations the beauty of Día de los Muertos. For these younger children, the holiday is not something is be afraid of but rather a holiday to remember the dog that ran away, the fish who bellied up or even the family members who were there one day and gone the next. 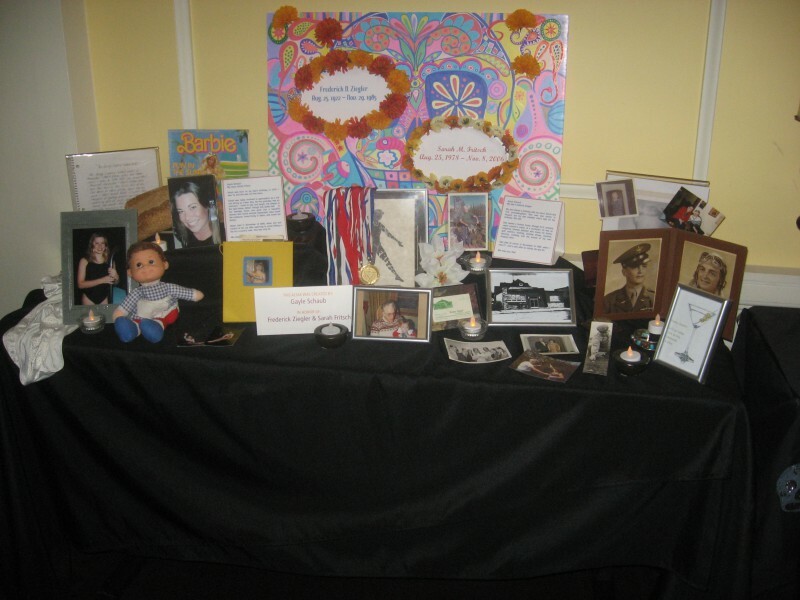 In creating the altar, family members sent Schaub pictures and memorabilia of her father and niece. Schaub says took “about an hour” to complete. She encourages everyone, regardless of their background, to take part in the celebration and predicts next year’s participation to be larger as more visitors become aware of the beauty and celebration of life in Día de los Muertos.